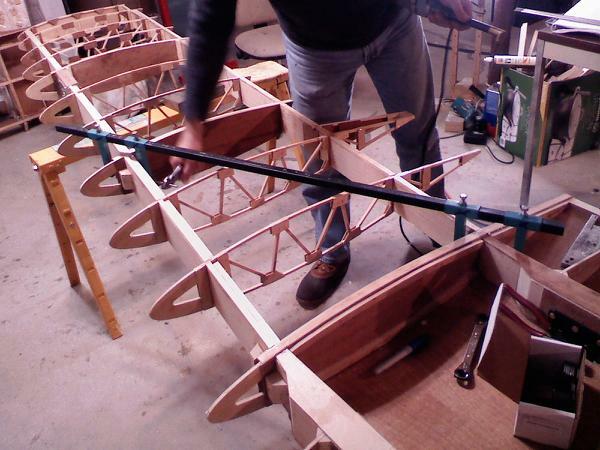 Last Tuesday we installed the lower wing drag wires and tightened them up. I’ll have some pics of them soon. Wednesday Dave and I got together to figure out how we were going to hang the Cabanes. The Cabanes hold the upper wing in place via two bolts that go through two inch long tubes that sit on top of the cabanes. 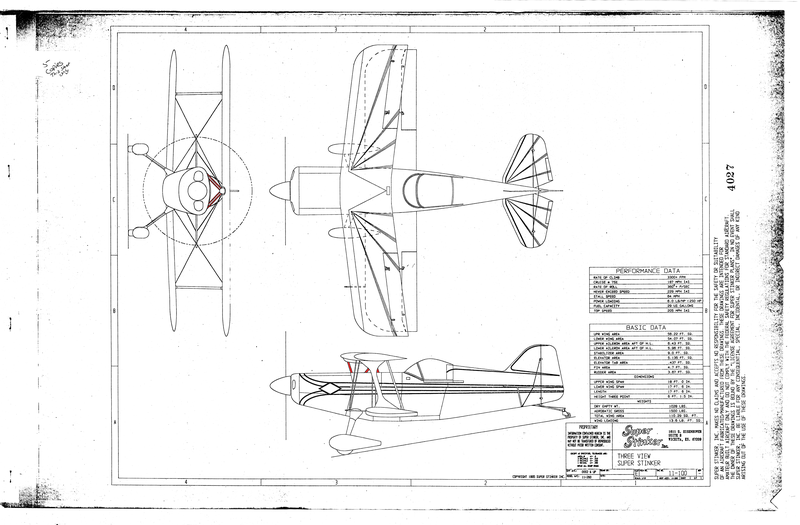 The plans give the dimensions based on how high and far apart these two tubes need to be to set he correct angle of the top wing and position it correctly on the fuselage. So in essence we need to put these two small tubes in place and build the cabanes around them while keeping everything centered and even. So we kicked around a few ways to jig these up. 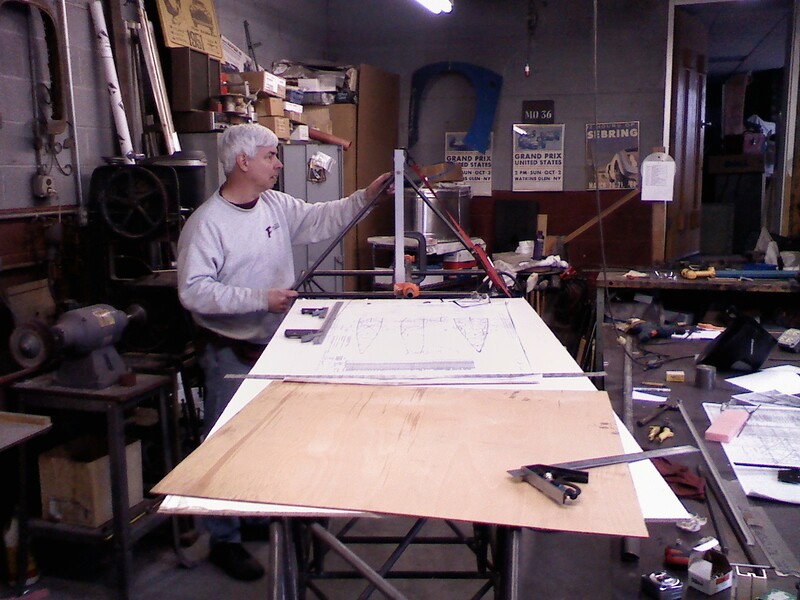 The plans center the forward tube (forward spar attach point) on our zero reference line that drops from an imaginary point in the sky, through the center of the tube, down through the lower center engine mount attach point on the fuselage. 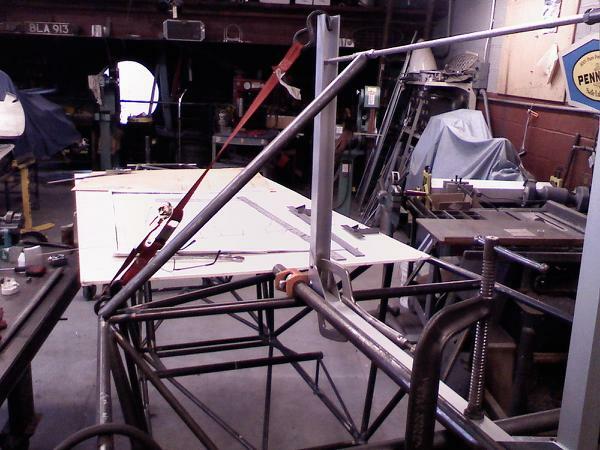 The tube is also spec’d out 18 and 3/4 inches above the top, forward fuselage cross tube. 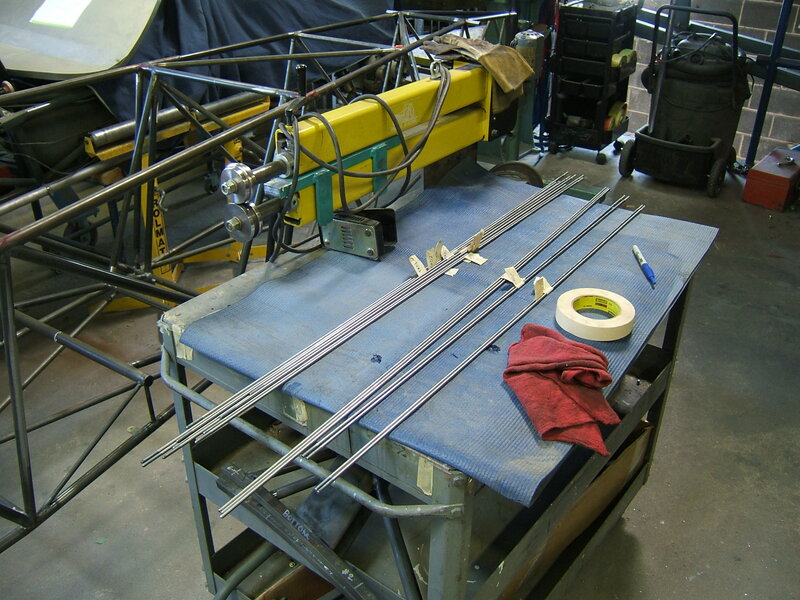 The second tube for the rear spar attach point, is 19 1/2 inches rearward from the center of the forward tube or spar attach point and 17 3/4 inches above the next rearward fuselage cross member. 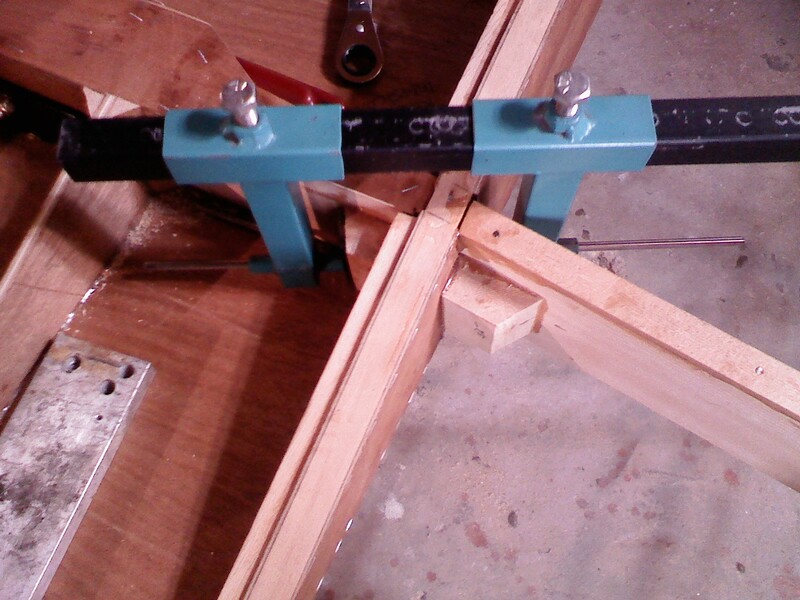 We didn’t want to use wood to build the jig, because there is just to much flex with wood to get it right. 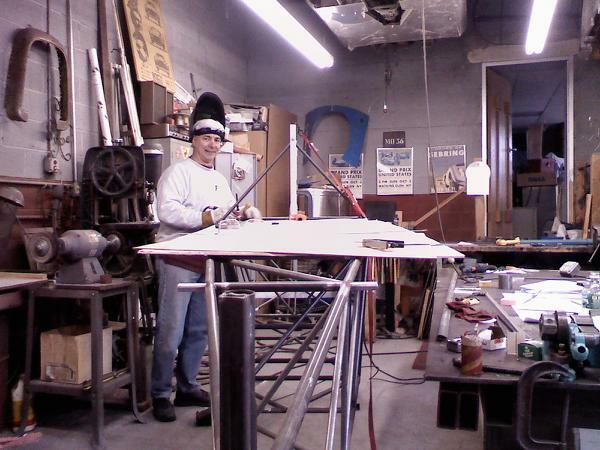 So Dave came up with a nice piece of aluminum square tubing. 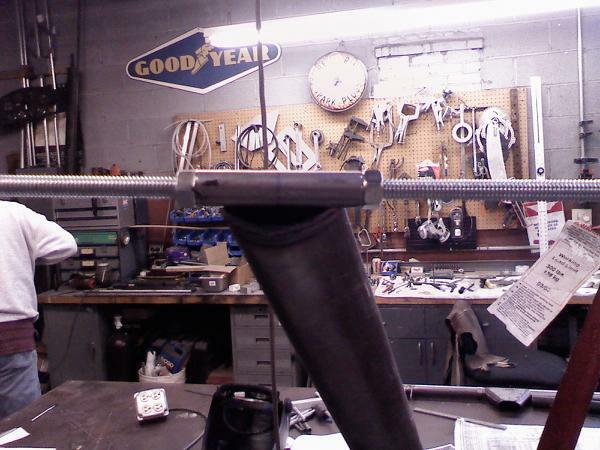 Because the firewall is slanted back at the top, the top tube is actually 5 inches behind our zero line. 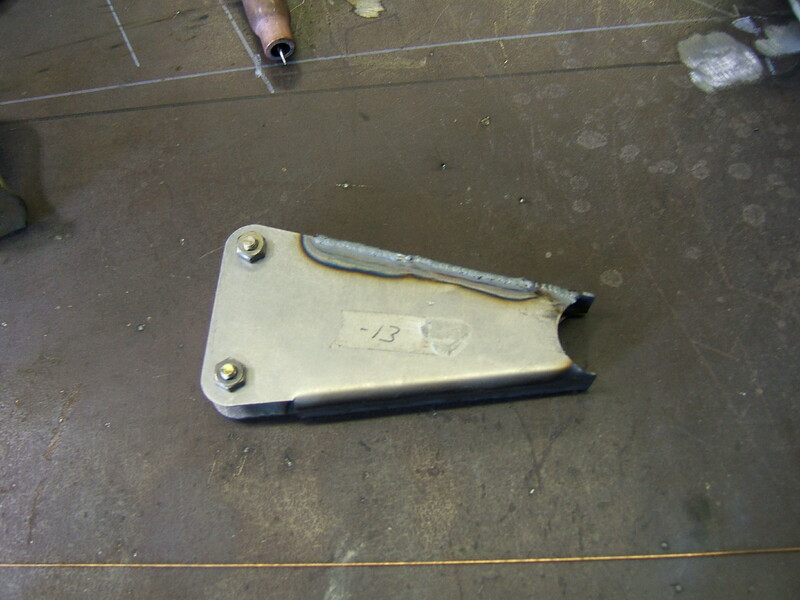 So we decided to cut a piece of the square tube that would run from bottom engine mount strait up and hold the first fitting. This posed a problem because of the slanted firewall. 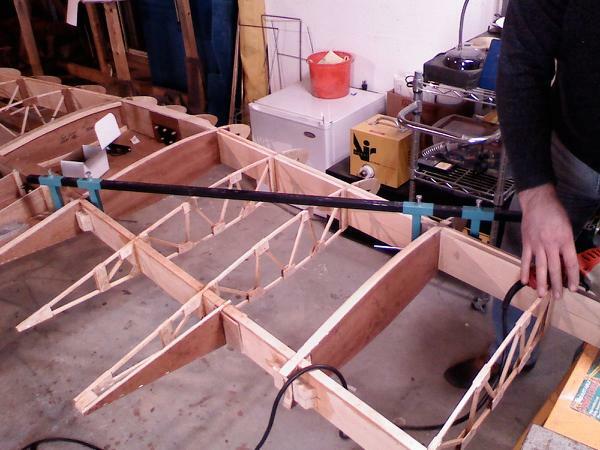 We solved this by running a piece of the square tube across the two front fuselage cross members and we made it extend 5 inches from the front and hold the vertical tube at the zero line. 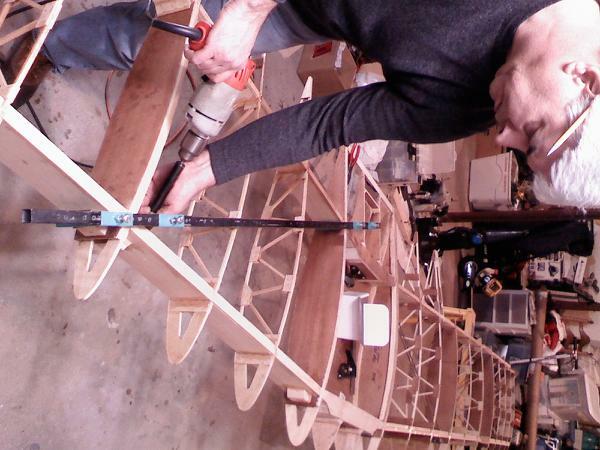 We notched the horizontal square tube to fit over the fuselage cross members so it would lock in place and give us a nice sturdy base. 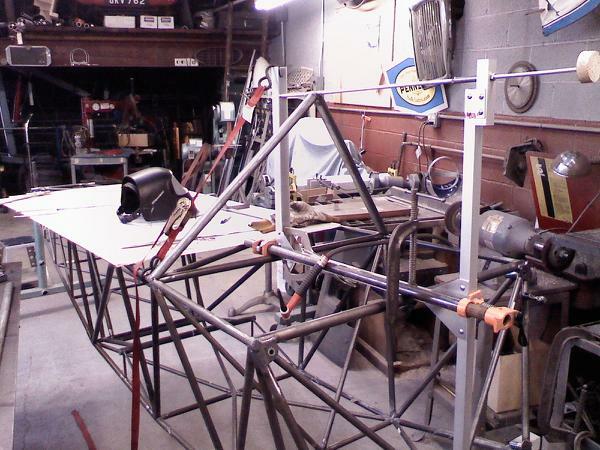 From this we added a riser on the rear for the rearward spar fitting. We had drilled bother risers and put a threaded rod through the holes that we slid the small tubes onto and locked in place with jam nuts. 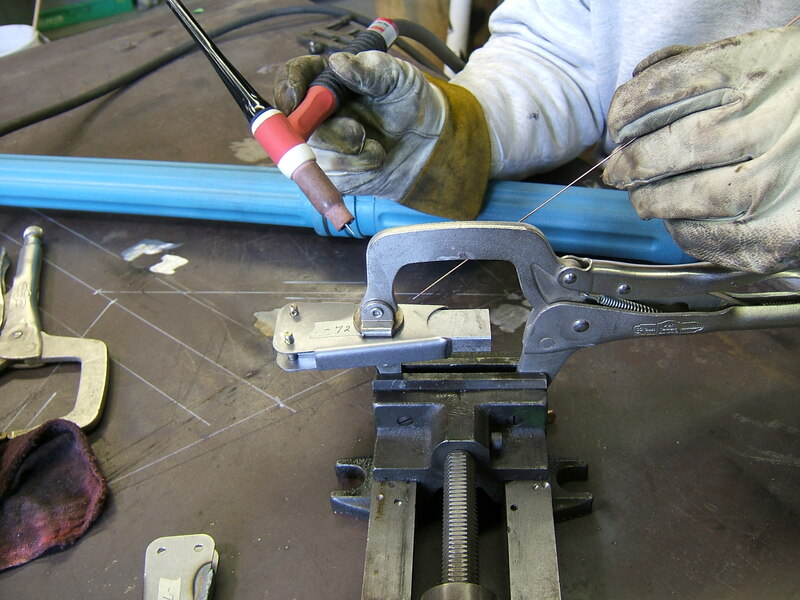 With that in place all we would have to do is measure, cut and fit the streamlined tubing, then tack it in place. 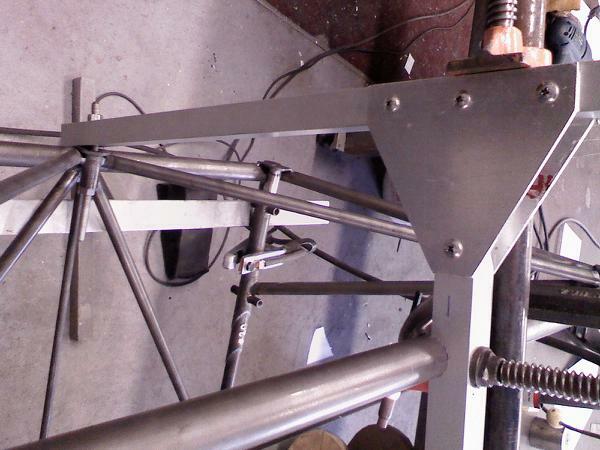 This is a picture of the rear, two inch tubes and the first cabane strut tacked in place. 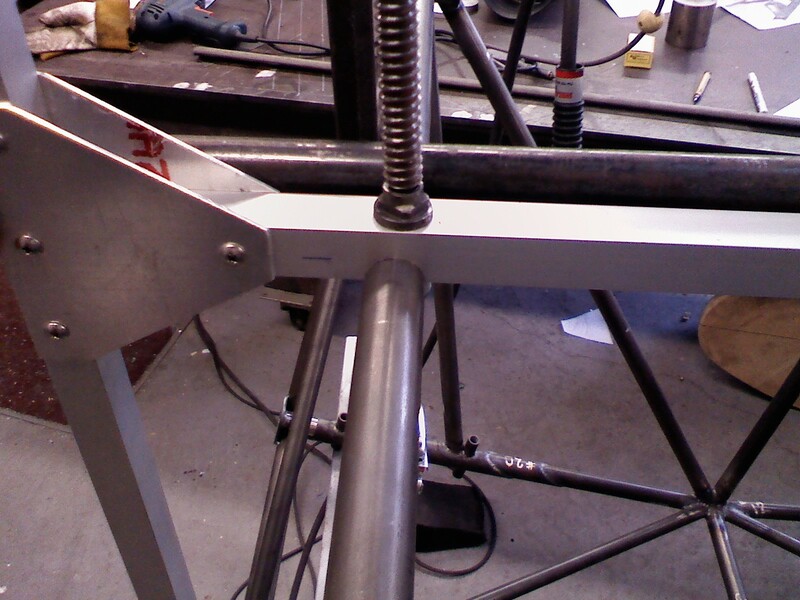 Here are a few more, fitting the second strut. Tonight Dave and I went over to Wayne’s and we drilled the drag wire holes. 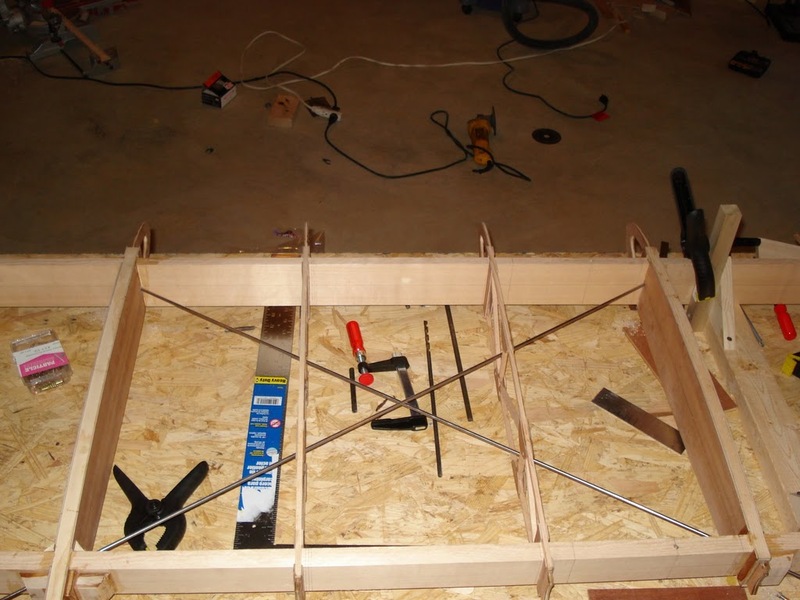 Dave had built a nice jig for drilling the holes the works nicely and guarantees you gonna have good strait holes from spar to spar. 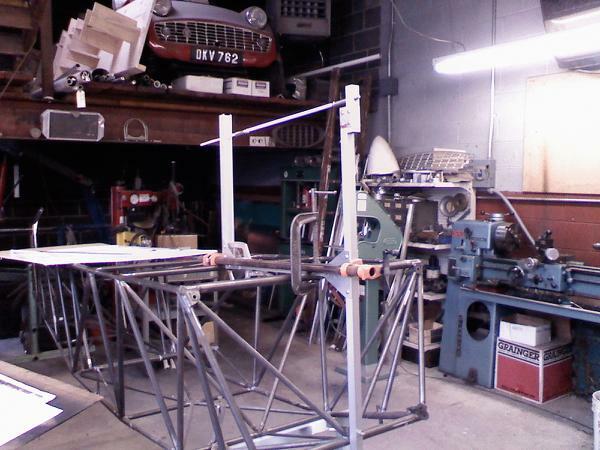 Here are a few pictures of the Jig. 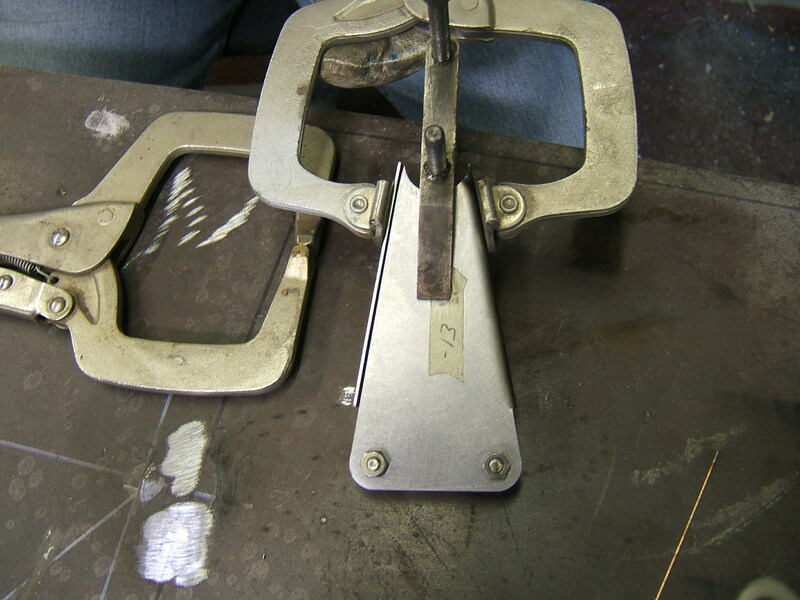 We marked the blocks where we wanted the wires to come through, then we tap a pin in to hold the jig. 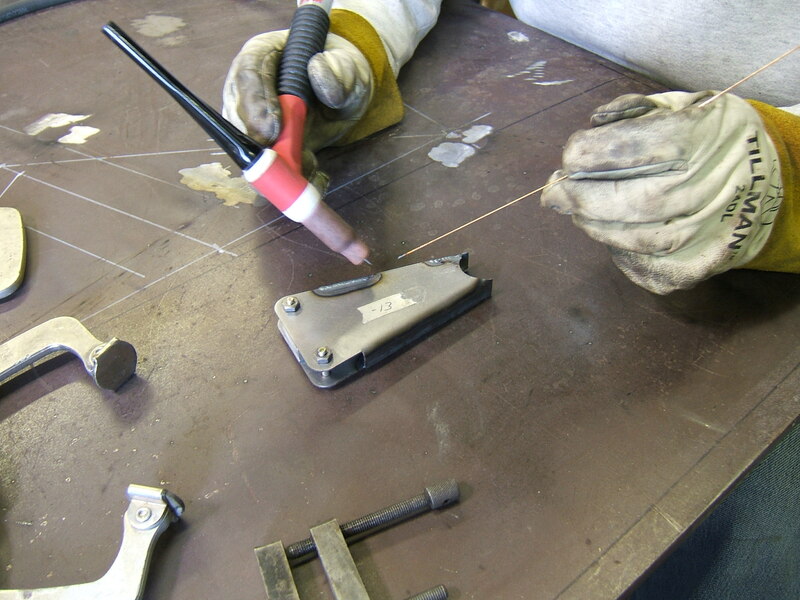 Next we slide the jig onto the pins, tighten them in place and drill the first holes from the inside of the spars with the attachment as our guide. 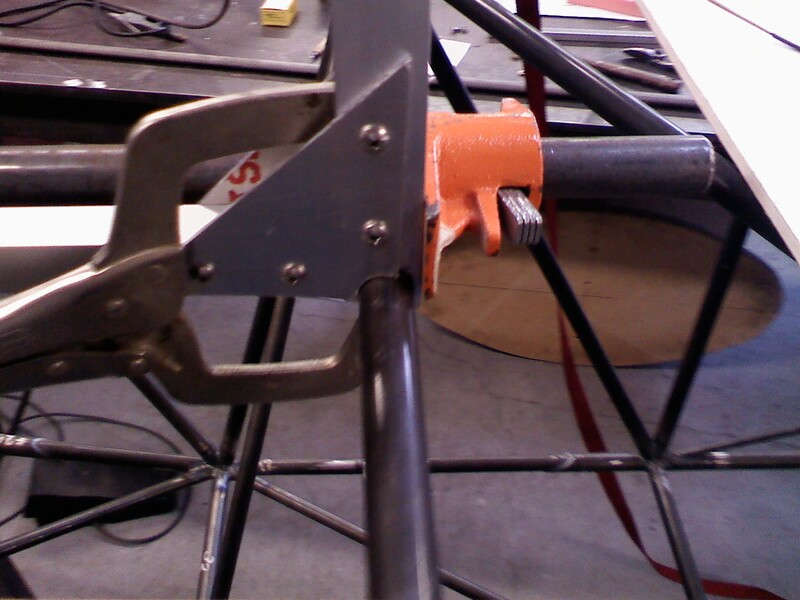 After drilling the inside hole we push a small piece of left over drag wire through to hold the jig from the inside. We remove the pins from the outside and drill the holes from that side. Remove the jig and run the holes all the way through. 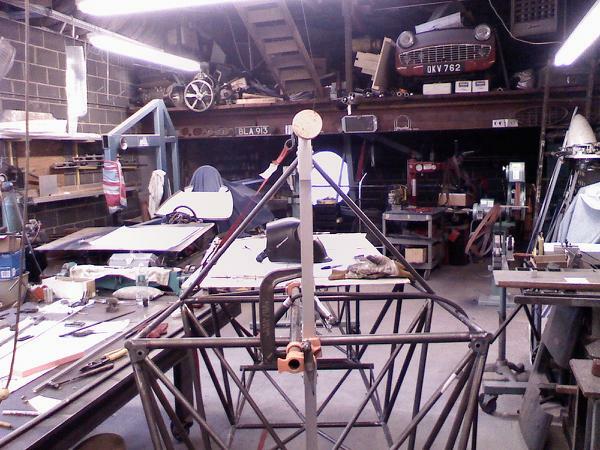 Friday night I went over to Wayne’s and took the final measurements for the Drag and Anti Drag wires. 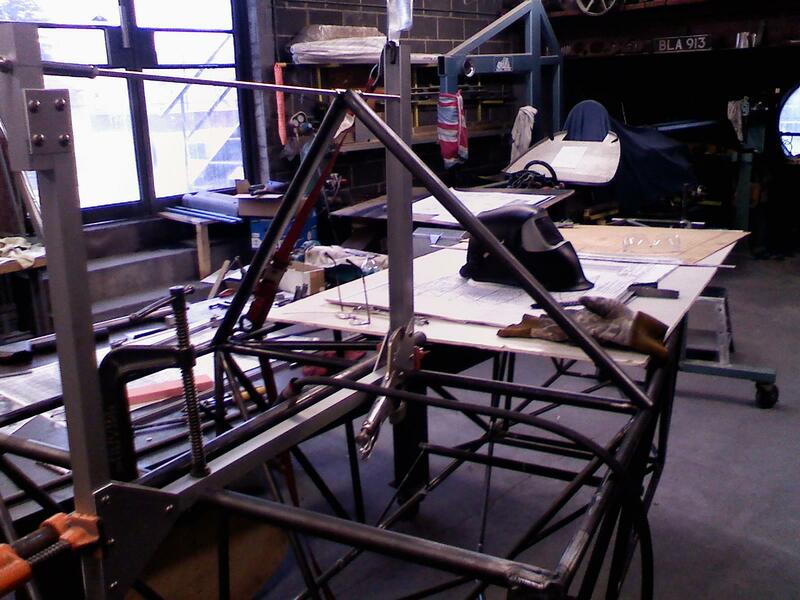 Here is a good picture of the wires in a wing. This is from one of my friends builds. 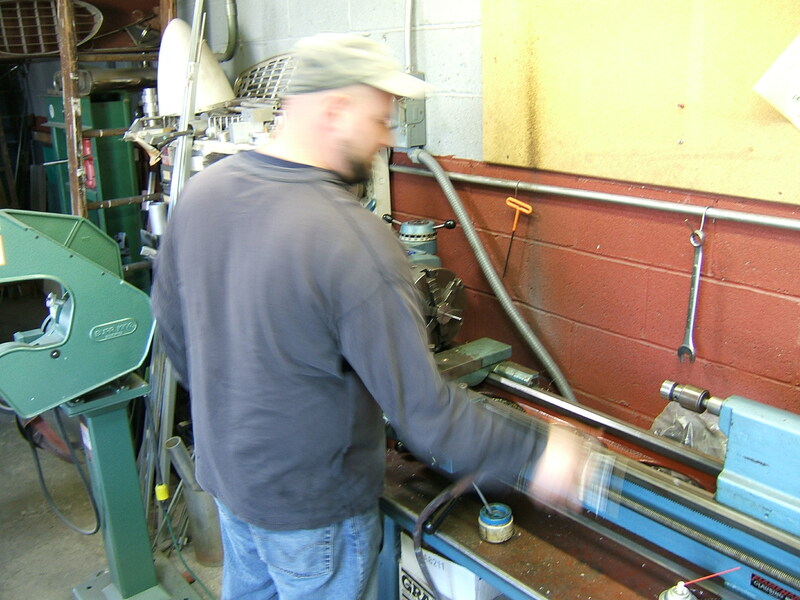 So I went up to Yard Metals in Bristol and picked up the 416 HD harden steel rods. I got 18, 4 foot long segments. 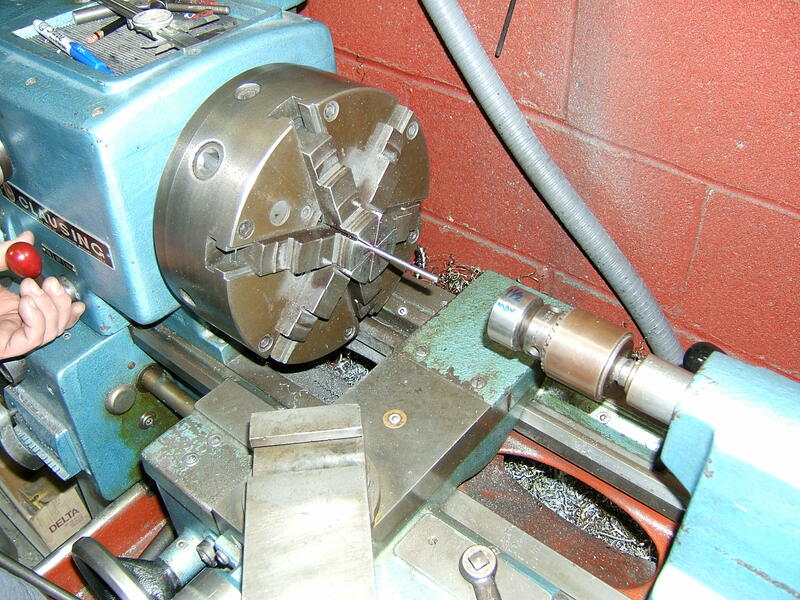 Dave created a nice chuck for the tailstock of the lathe that replaced the quill and held the die. 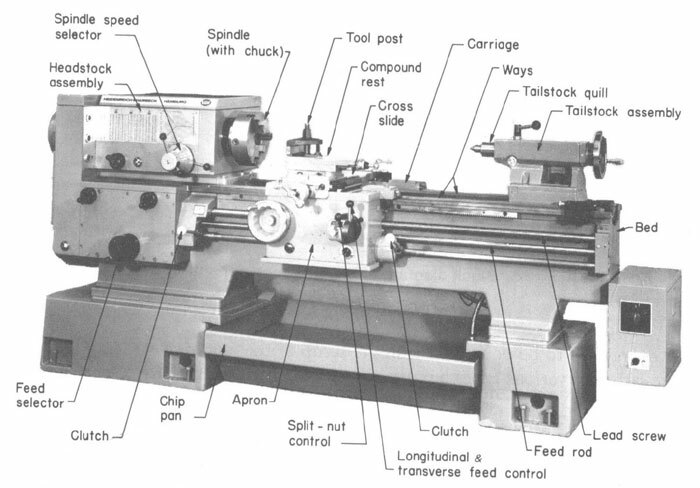 The rod slid into the head stock and was held by the spindle and chuck. 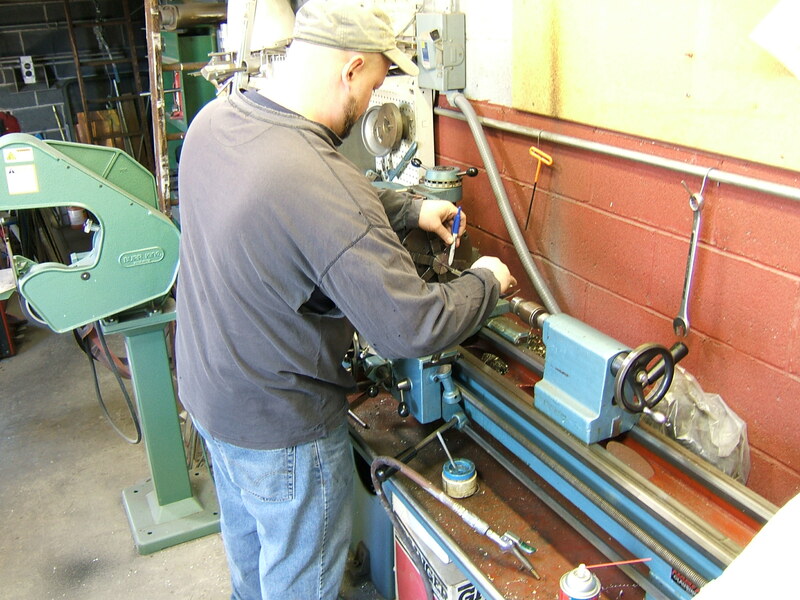 Then all I had to do is engage the lathe and push the tailstock with the die onto the stainless steel rod and wait for it to hit the mark. 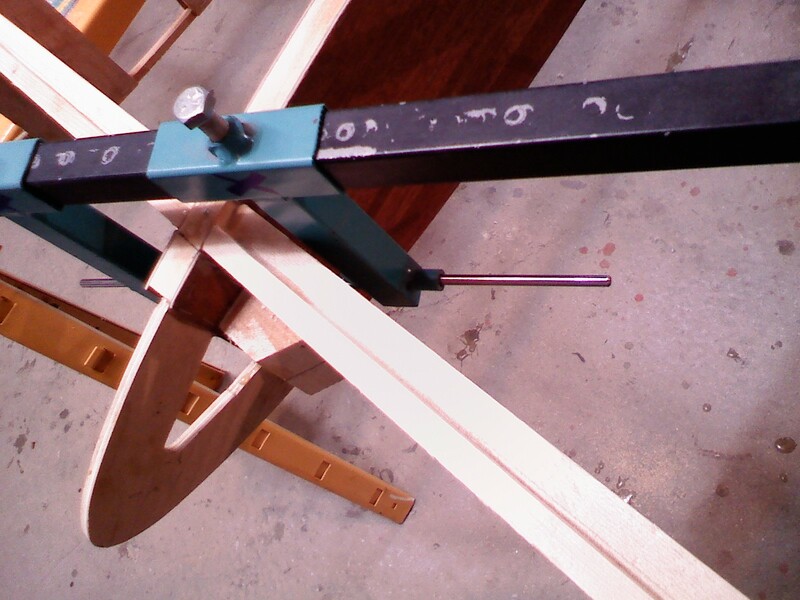 Then reverse the lathe and voila screw threads. 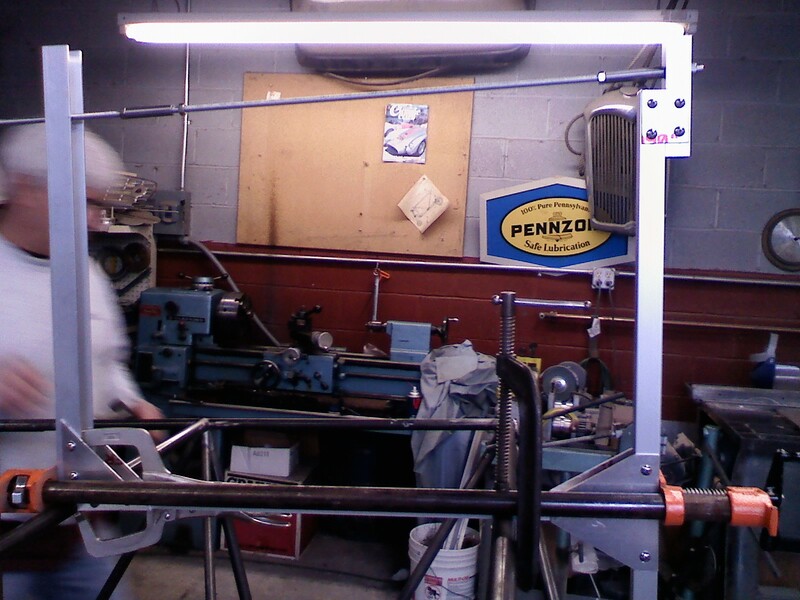 Dave picked up the final laser cut parts Friday, so while I was cutting threads Dave was welding the idlers.